Amyloidosis (excess amyloid protein) can increase the risk of kidney failure and heart failure. 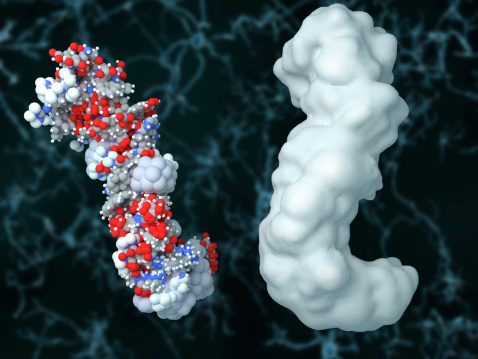 Amyloid is an abnormal protein that when it builds up in organs and tissues it can affect how they function and look which can lead to serious health consequences – primarily amyloidosis which can be life-threatening to organs. Amyloid is produced in bone marrow and can deposit itself anywhere in the body. Common areas of the body which can be affected by amyloidosis and amyloid buildup are the heart, liver, spleen, central nervous system, and the digestive tract. Primary (systemic AL) amyloidosis: No apparent cause, blood cancer may be possible cause. Systemic refers to it affecting the entire body but focuses on the liver, heart, kidney and intestines. Secondary (systemic AL) amyloidosis: Caused by another chronic inflammatory disease like lupus or rheumatoid arthritis and some cancers. Commonly affects the spleen, kidneys and liver. Dialysis-related amyloidosis (DRA): Common in seniors who have been on dialysis for over five years. Commonly affects bones, joints and tendons. Familial, or hereditary, amyloidosis: Rare form of amyloidosis which is passed down through families. Caused by an abnormal amyloid protein called transthyretin (TTR) protein which is made in the liver. Senile systemic amyloidosis: Formed by normal deposits of normal TTR in the heart or other tissues. Organ-specific amyloidosis: Build up of amyloid protein in single organs. Laboratory tests like blood and urine samples. Your doctor may also check your liver and thyroid as well. Biopsy can be taken from affected tissue like from the abdomen, bone marrow or the affected organ. Imaging tests can show how severe the disease is for example and echocardiogram can check size and functioning of the heart. Because amyloidosis can be life-threatening to organs it’s important you get tested early on so that treatment can begin right away before more serious complications occur.